Latest Wants - Dresses. 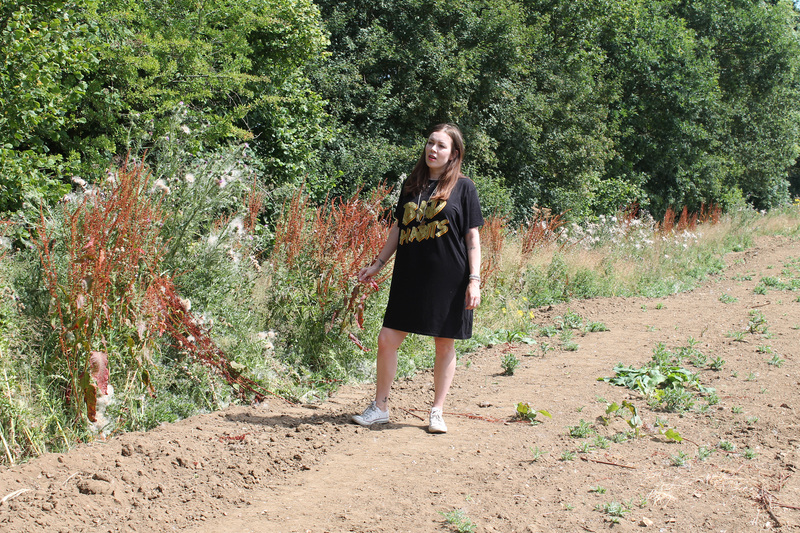 | Nicki Kinickie Nicki Kinickie: Latest Wants - Dresses. I browse at clothes online like it's a sport, more so it seems when I am ABSOLUTELY skint and I have no idea why. It makes no sense to torture myself by finding tons of beautiful new items of clothing (and you will always find TONS when you're broke) only to glimpse over at the calender and remember that pay day is soooo far away. *SIGH* First world problems eh? Even though I am currently penniless, it doesn't stop me looking. Even if I can't buy, I still love to look at what's out there, I find it very therapeutic! Lately I keep searching dresses, I am a sucker for a dress and there are some lovely styles, shapes and colours out there right now so I thought I would share with you a few that caught my eye. When I fancy a really good browse online, I personally find there is nowhere better to shop than ASOS.com.  It has a vast range of brands as well as it's own lines so you can have a really good peruse and see what's out there. I also love that the items are modelled so you can get an idea of what they look like on. 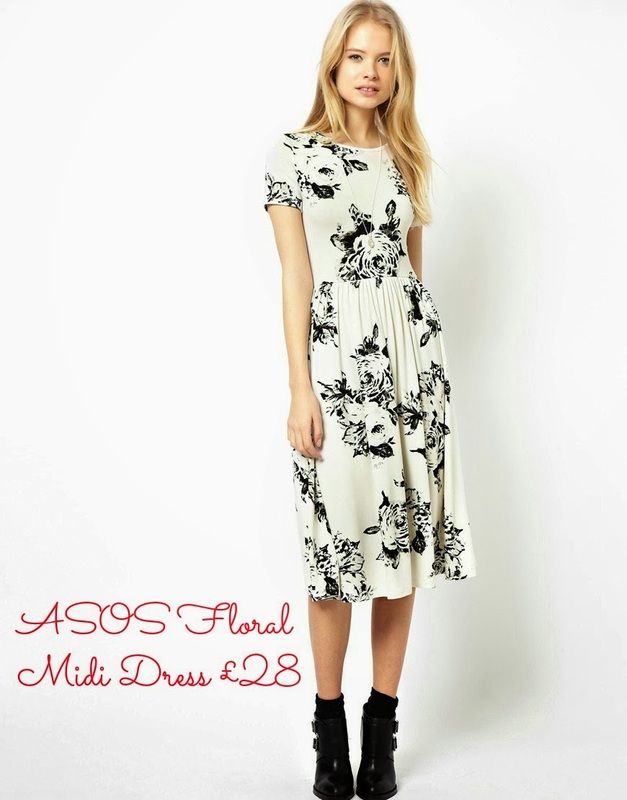 I love a midi dress, they are so easy to wear and comfortable while being stylish and girly, especially when they are in gorgeous floral print like this beauty! This look is exactly how I would wear the dress too; funky, chunky ankle boots and socks. Perfect! The midi length will be seen a lot in SS14 too apparently. Yep. A tea dress, are you surprised? As I have previously said, I do need new tea dresses after having got rid of old ones. 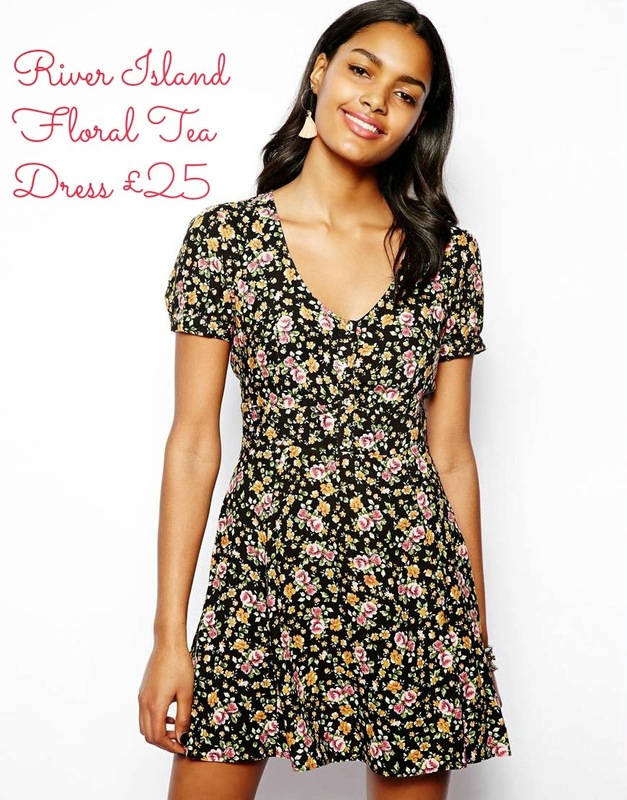 I have seen this dress in store and the material is lovely, it is also stretchy too which I always like because I want my tea dress look to always be effortless. This will be perfect for both the cool days into spring and the warmer summer days. I need this! This dress is BANG ON TREND. Monochrome is big this year and I love love LOOOOOVE this beauty! I really like the shape and style and that the black lines don't just go in one direction across the dress. I am really hoping my post baby body will allow me the pleasure of purchasing said dress and looking half as good as this model! ( I can hope / dream / sob / beg). In the meantime, if anyone buys this - link me up to your blog review of it below please! Would love to see it reviewed and how other bloggers would style it. I think it is fab! Love this. Such a classic cut so it is a dress that will last through the seasons. I really like the bold heart print as well as the shape and cut of the dress. Again, this falls under the style of my 'go to' look when it comes to dresses.The only thing I worry about on me is my bosoms in that neckline, they can sometimes come up a bit low and revealing which is never a look I go for! I am reserving this one on my 'save for later' list though as I am sure my wardrobe won't be complete without it. How amazing is this look? 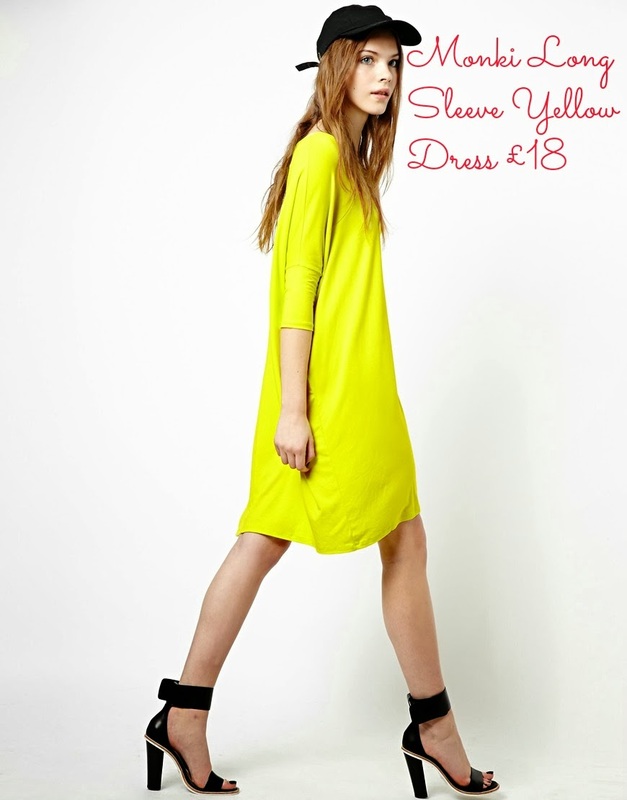 Such a simple T-shirt dress in the most stunning yellow colour. This look is the personification of smart / casual with those stunning heels and baseball cap to finish it off. This is why I love that ASOS use models, it can sometimes make you look at an outfit in a way that you never would. This dress is so versatile, you could dress it up like this or wear it with converse on a more casual day. It would look great with a denim gilet too or quilted jacket. What do you think of my latest lusts? Has anything caught your eye in the shops lately? Have you entered my give away?? WIN a Topshop silver ditsy eagle necklace.